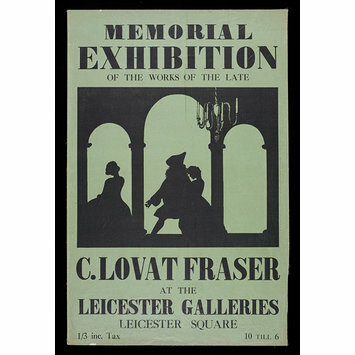 Lithograph poster used to advertise the memorial exhibition of works by the late Claud Lovat Fraser at the Leicester Galleries, London. Lithograph poster used to advertise the memorial exhibition of works by the late Claud Lovat Fraser at the Leicester Galleries, London. Artwork of design by Claud Lovat Fraser. England. 1921. 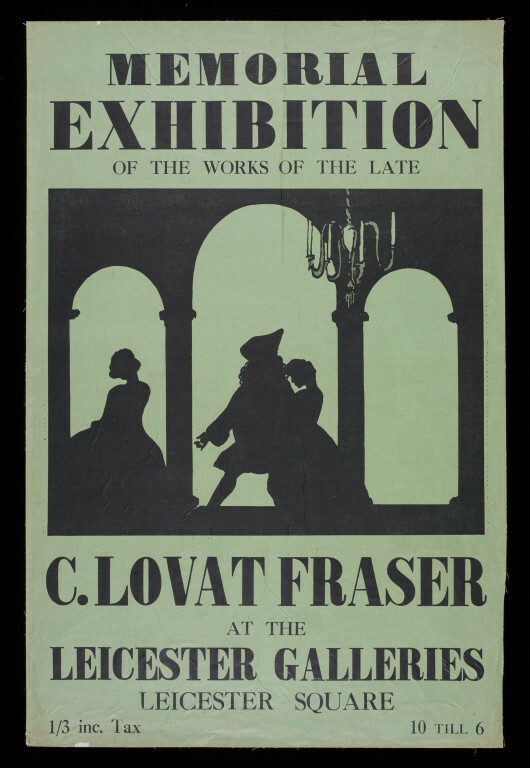 Millard, C. The printed work of Claud Lovat Fraser. London. 1923. p. 273.